A successful and effective orientation process can improve employee retention and reduce turnover. According to SHRM, 22% of turnover occurs in the first 45 days. A solid on-boarding process can decrease the amount of turnover and support new associates by helping them to become productive much quicker. Establish a systematic approach to on-boarding to provide new Inside Sales Managers with a consistent welcome experience. 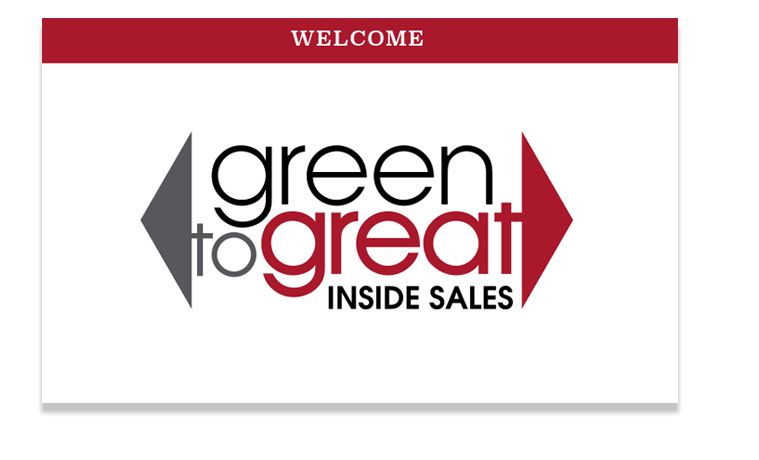 The Green to Great on-boarding program will inspire confidence in their decision and ability to sell by demonstrating a high quality professional experience. Recommended Audience: Human Resources and management associates.